Blind Justice is the Batman story that time forgot. 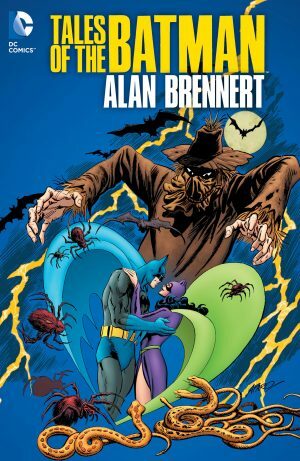 Google the best Batman graphic novels, and it only appears once on the first twenty returns, this on several lists extending to fifty different books. When originally published as comics it was a very big deal. 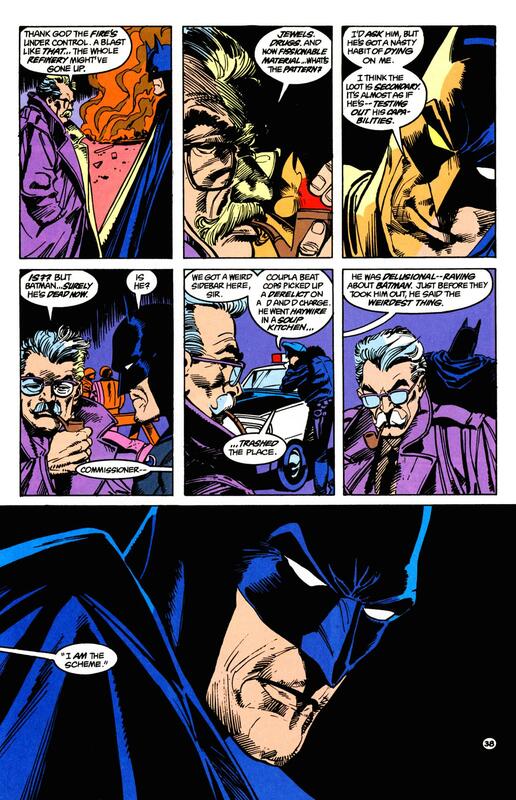 In an era when screenwriters producing comics was unheard of, a special story to celebrate Batman’s 50th anniversary in the 600th edition of Detective Comics, was commissioned from the writer of 1989’s character redefining Batman movie. Yet it’s now forgotten and has been out of print for years. Why is that? Sam Hamm produced a classic edge of the seat thriller that constantly shifts gears, remains unpredictable, uses Bruce Wayne as the focal point in an intelligent drama, and is best read with little knowledge of the plot. 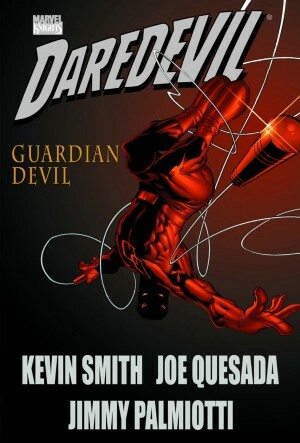 That begins with a new villain using sonic devices to devastating effect, but committing suicide when confronted by Batman. Around the same time Wayne is introduced to a woman attempting to track down the younger brother from whom she was separated when he was two. She’s tracked him to a post at Waynetech, but there the trail runs dry. The plot is heavily dependent on technological progress, and against expectation, with some minor allowances such as use of a fax machine, it’s not dated despite considerable advances since the 1980s. In other ways Blind Justice has a very contemporary feel, not least via including trial by television hosts with defined political views, and the use of computer technology to falsify records in an untraceable way. With the exception of Alfred and Commissioner Gordon, Hamm supplies his own supporting cast, introducing Henri Ducard, instrumental in Batman’s rebooted origin for the ‘New 52’ line. He’s a more impressive character here, utterly without conscience, yet with a brilliant deductive brain, so a compelling villain. 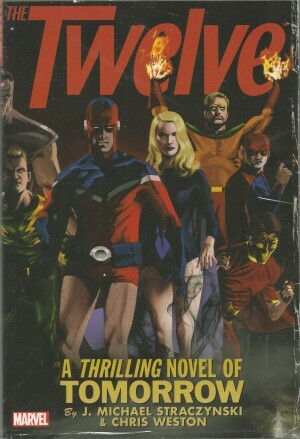 At the time he drew Blind Justice Denys Cowan was known for a loose, impressionistic style of art, but tightens that considerably to adopt a more traditional, but equally effective form of storytelling. He designs half a dozen new characters with large roles to play, ensures they’re distinctive, and keeps them consistent throughout. 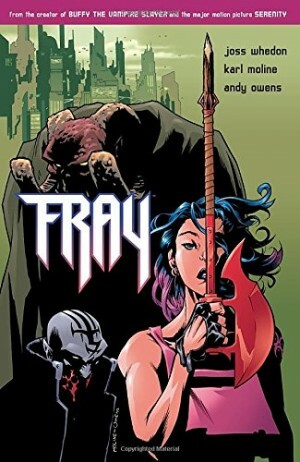 His Wayne is very good, more serious than the usual frivolous depiction of the time, and well structured as the person who has to carry the bulk of the story. Cowan’s not one for decorative frills, but he carries a weighty story extremely well. There’s a neat central idea, the characterisation is strong, and it’s well drawn, so it’s really difficult to come up with reasons why Blind Justice hasn’t remained highly regarded. Perhaps it’s the focus on Bruce Wayne, although Batman certainly appears enough, or perhaps because it lacks any of Gotham’s colourful villains. Their absence partially accounts for the plot being so good. The villains used here don’t have any investment over time, so their actions aren’t predictable. Anything can happen. 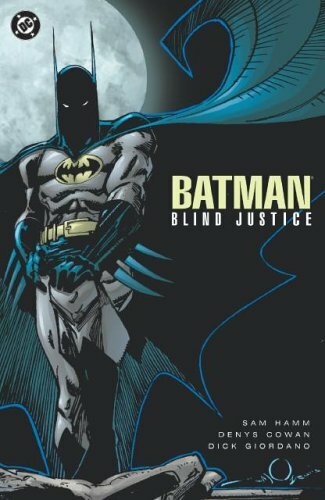 Blind Justice is long out of print, and that the prices for used copies match those for new Batman graphic novels indicate that there is some demand. Alternatively, as no money is currently being funnelled toward the creators, you won’t have to search long for a digital copy. Either way, if you enjoy Batman and have not read Blind Justice, you should.